Assalamualaikum wbt and good day all! I have always wanted to share what i always bring during hotel stays or even during balik kampung stays here. But it has always been pending, sitting inside the save draft forever. Today, i feel like completing this entry for once a all. Well, this is just my own opinion and my own experience i am sharing with all. It is not something that i am recommending you to do. If you feel like following, by all means, go ahead. You might have your own opinion too on this matter. Please feel free to share it via the comment section below ya. Travelling with a baby could be hard for some people. Especially those with 2 or more kids. As this would be my second time sleeping in a hotel with my lil bub, i am not claiming that i am very good at this. It is just that i am super particular on Marissa's items, what to bring, schedule of the attire and so fourth. 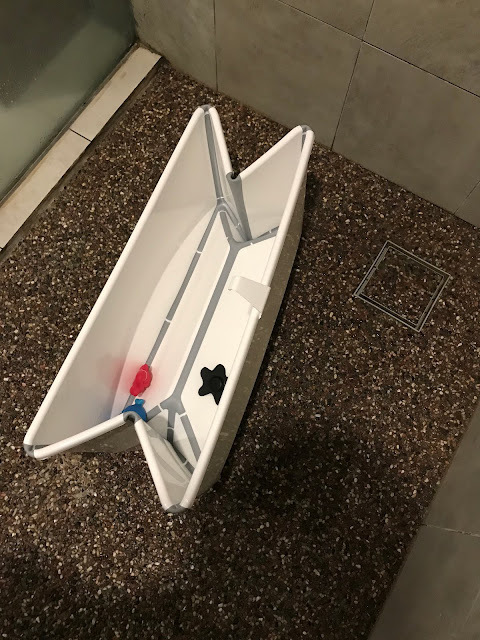 This is a MUST birng item for me if the hotel does not have a bath tub. Yes. A fold able bath tub from Stokke, Stokke Flexi Bath for babies from 0 months until 4 years old so to speak. This is super convenient as Marissa can take a bath peacefully in this peace of invasion. The two pieces of red and blue items are some bath toys that i brought together with this tub just to make a bath time looks a bit more fun! 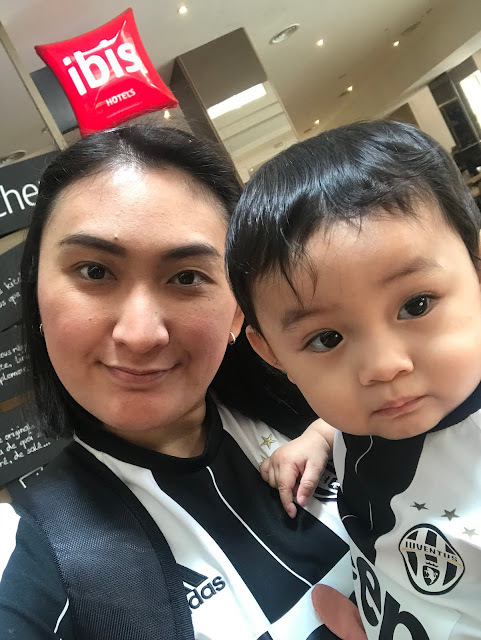 You can get this at HappiKiddo for less than RM200. 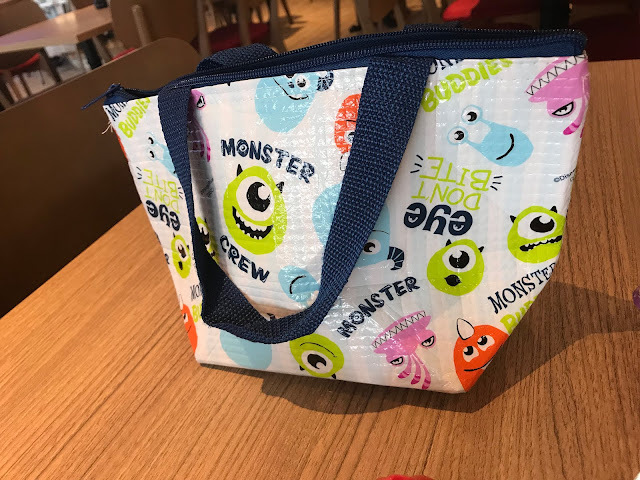 Simple thermal bag from Daiso. 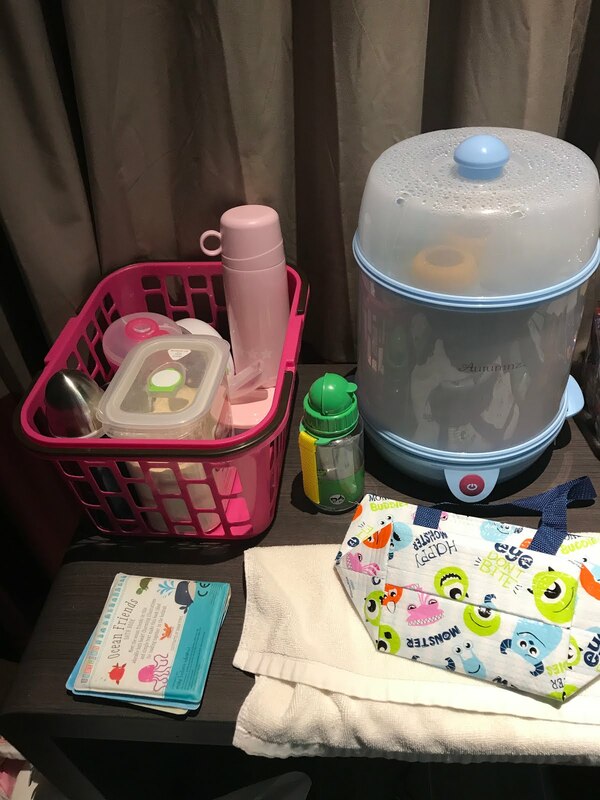 I would recommend mothers to have this pronto and this bag is super convenient for us to carry baby foods from room to the breakfast dining. I stuffed Marissa's favorite food inside here, preheated using the steam sterilizer in which i will cover next, and bring downstairs for her to eat together with us during breakfast. It can also fit a spoon, face tower and a small water bottle as well. RM5++ from Daiso. Ingenious! Okay, this picture has all in one actually. Let me start with the steam sterilizer. Yes. The whole steam sterilizeri brought from home. Clean freak mom? Maybe. Haha. I was planning to purchase a travel size of steam sterilizer from Pigeon but after several thoughts, we don't really spend most of our time in a hotel (maybe not yet) so not really need it now. Haha. The pink basket is full with milk and bottle and also a thermos to fill in the warm water for milk making. (Yes Marissa is on FM. mothers, you may bash me now on that if you want to. I have read, seen, being bashed before on this FM/BM but i always support Fed is Best no matter what) As you can see, that Ocean Friends book (you can get it from Happi Kiddo as well) is for Marissa to read in case she's bored. Haha. That is one of her favorite book so far. Apart from FM, we also bring some Farley biscuits, Afyat Jar foods and also Milna cereals for Marissa's snacking. I know it is not healthy so to speak but sometimes she likes to eat those things whenever she feels like it. Now, she's in a phase of no Milna biscuits, no Farley, no Cerelacs. Maybe Afyat is still okay but she's more towards eating rice now. Good! Bottles bottles bottles. 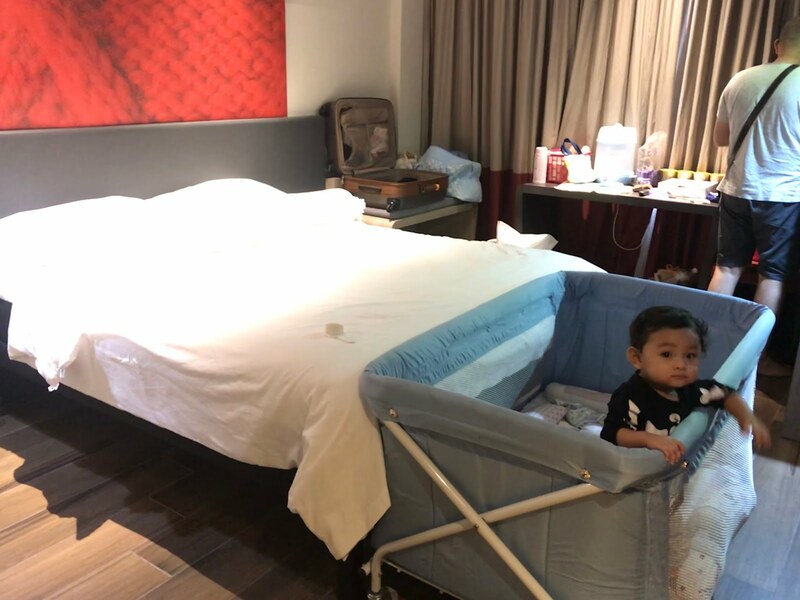 We always bring 3 bottles and 2 pacifiers during stay-cation not just in a hotel but even when we are back in Melawati for one night. 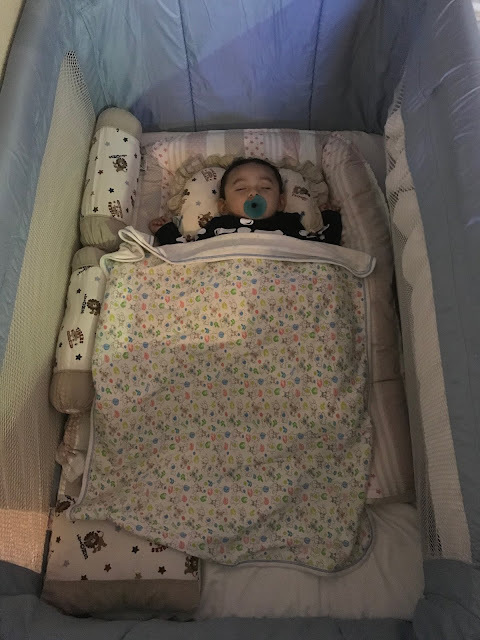 I actually steam sterilize Marissa's bottle every night, the ones that were used during day time and also the pacifier as well. Plus, also bring with us a FM dispenser just in case if we were to go out jalan jalan. 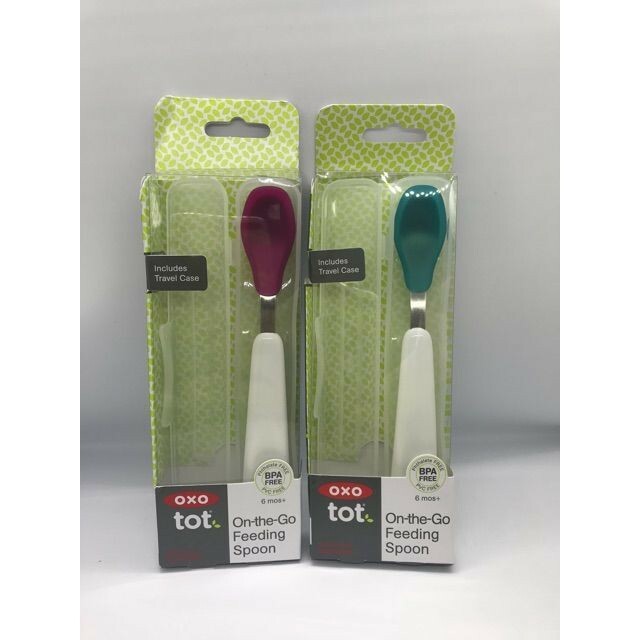 I also bring one travel spoon (cannot be seen in the picture above) from Oxo Tot On-The-Go Feeding Spoon (pic below) for feeding purposes. You can get the spoon from Happi Kiddo as well. Referring to the picture above still, If you can see there's a Pacific Baby Steel Bottle (blue color) there. I actually made that bottle as a smaller version of a thermos just in case if we were out for a short walk and she needs milk to drink during that period of time. Well, most mothers know their baby's feeding time right? So with all of this on hands, i think it is super easy to manage. Mattress. I dont have a travelling mattress for Marissa but i did bring this mattress in which the one that she sleeps on every night. I am not sure if she's a picky sleeper but i still bring this full set of mattress for her to feel comfortable. The mattress were being laid inside a baby crib that i requested from the hotel. As for Ibis, this one is free of charge. I am not sure about other hotels, though. But thank god i request for this as the bed is seems a bit small for a queen size bed. Usually, those are the items that we would bring with us during our hotel stay. The most priority item would be...all! Haha. I cannot say that i would leave one behind as all of them are super important.